White sandy beach, crystal blue waters, and vibrant Aloha shirt are the perfect ingredients for a great family beach photo - especially if you are visiting Hawaiʻi for the very first time. 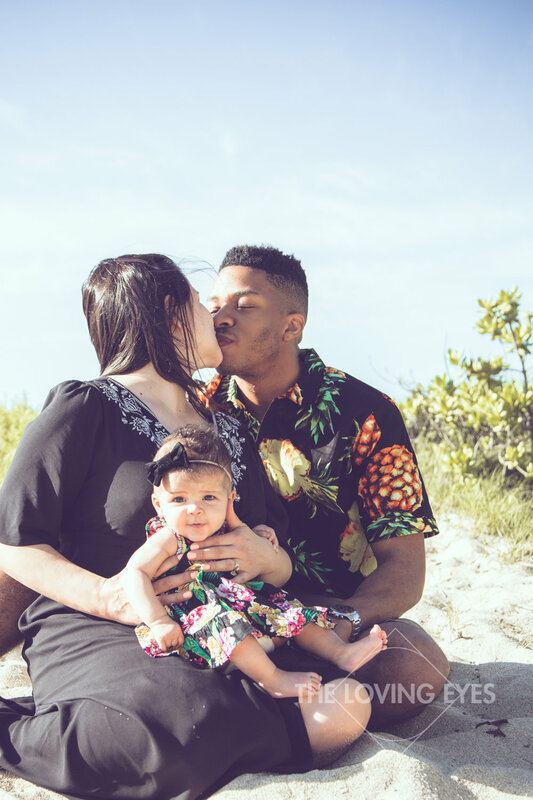 Meet the Millers and their little one Melba. Needless to say she was daddy's little girl.